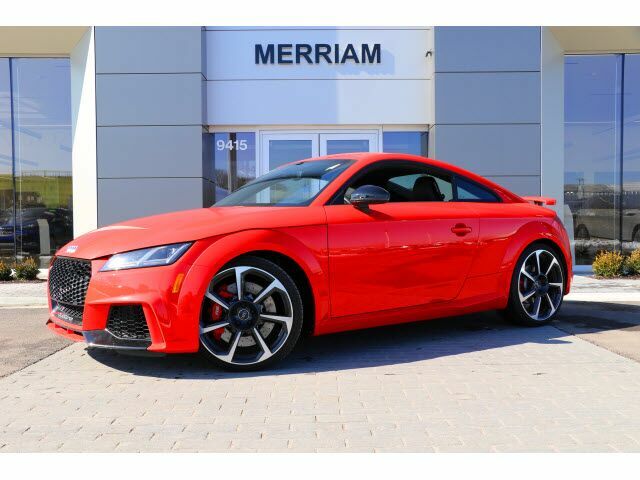 Hard to find and super clean 2018 Audi TT RS in Catalunya Red Metallic over Black Interior with Crescendo Red Stitching. Loaded with Options: Technology Package, Black Optic Package, RS Sport Exhaust System with Black Tips, RS Design Package, Carbon Fiber Inlays, Red Brake Calipers. Please Contact Brian Stacy 1-855-979-0255 to Test Drive Today! Aristocrat Motors, Kansas City's premier luxury dealer strives for the highest levels of customer service. Voted "Best in Business" by the readers of Ingram's magazine, our customers are our number one priority.